A sweet, clean retelling of Beauty and the Beast. Once an all-powerful prince, my only hope of escaping my monstrous form is to earn the love of another. But I have come to accept the truth: I will never know love. There is no escape for me. I sacrificed my freedom for my papa, determined to protect the one person I love. Now I am trapped in a decaying castle with a terrifying beast. But I will prove to him that he can never truly ensnare me. A sweet, clean Cinderella reboot. Lucinda Morain is a servant in her own home, the object of her noble stepmother’s cruelty. But pretending to bow to her stepmother suits Lucinda’s purposes. As an operative for the Ashes, a rebel organization determined to overthrow the oppressive nobility, her lowly status provides her with the perfect cover. 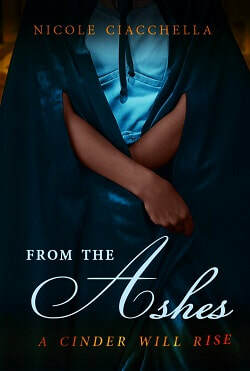 When she is chosen to lead the Ashes, Lucinda is overwhelmed and stunned. Can she handle the responsibility of making the life and death decisions? Benicio dei Amaria, heir to the throne of Falloria, is desperate to escape the strictures of palace life. Trading places with his double, he adopts an assumed identity to seize one last taste of freedom before he’s forced to appease the nobles by choosing a bride. Then Lucinda saves his life, opening his eyes. 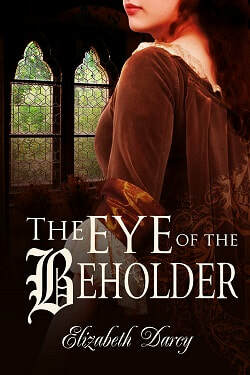 Long uneasy with the hold the nobility has over his father, and drawn to Lucinda’s passion for her cause, Benicio can no longer ignore what the peasants have suffered at the nobles’ hands. Taking the biggest risk of his life, Benicio provides the Ashes with secret information in the hopes of gaining them as allies. But what will happen if they uncover his true identity? Lucinda knows he’s hiding something from her, but she’s hiding something from him too: she’s the Cinder, the nobles’ and king’s most wanted enemy. Can they learn to trust one another before it’s too late to save Falloria? 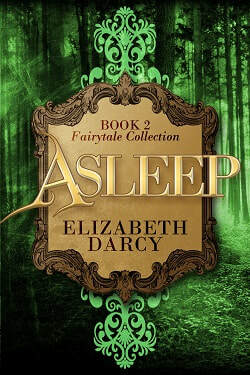 A gender-flipped reimagining of the sleeping beauty tale. Contains mature content. When her beloved Prince Devaran is abducted from her parents’ castle during their engagement announcement ceremony, Princess Jessmyn vows that nothing will stop her from bringing his abductors to justice. Rescuing Dev won't be easy, and Jess will have to form an alliance with the other Realms if she's to win the most important battle of her life. Imprisoned in a forbidding tower, Dev tries to find a way to warn Jess of the perils she’ll face. Weakened by deprivation and by the drugs administered by the madwoman who kidnapped him, Dev drifts between sleep and consciousness. As he relives cherished moments spent with Jess, Dev wonders if he’ll ever again be with the woman he loves. A sweet, clean reboot of Beauty and the Beast. An orphan who grew up thieving on the streets to survive, Yukari has excelled at keeping herself invisible and alive, until a foolish lapse in judgment lands her on the criminal overlord Amund’s bad side. Only one safe place is left for her to flee: Layalis, Lord Talal’s lands. The legends of the Beast Lord are lurid, and though Yukari doesn’t believe them, the superstition works to her advantage. Amund and his thugs wouldn’t dare follow her, and she may even be able to turn the forced exile to her advantage. Lord Talal’s lands are prime territory, unexploited for the last decade, and if she can get in his good graces, she may just be able to swindle him out of enough coin to appease Amund. But Layalis is even stranger than Yukari could have anticipated. Though Lord Talal looks like a monster, he proves to be a kind, considerate master beloved by his tenants, and he treats Yukari like a guest. Yet despite the beauty of his castle and the bounty of his lands, his servants have a habit of implying that Layalis is a horrible prison, and what initially seems a paradise gradually reveals its darker side. In spite of herself, Yukari begins to care about Lord Talal. Can she find a way to break the curse that has plagued his land for ten years? Or has she escaped to Layalis only to trade her hardscrabble existence for a different kind of cage?